KiWi’s warehouse in Penryn played host to Joe Allison, photographer and nightlife orchestrator, last Saturday 30th March. The exhibition was set up with the intentions of showcasing the photographers work, whilst immersing the viewers in a surreal rave experience. 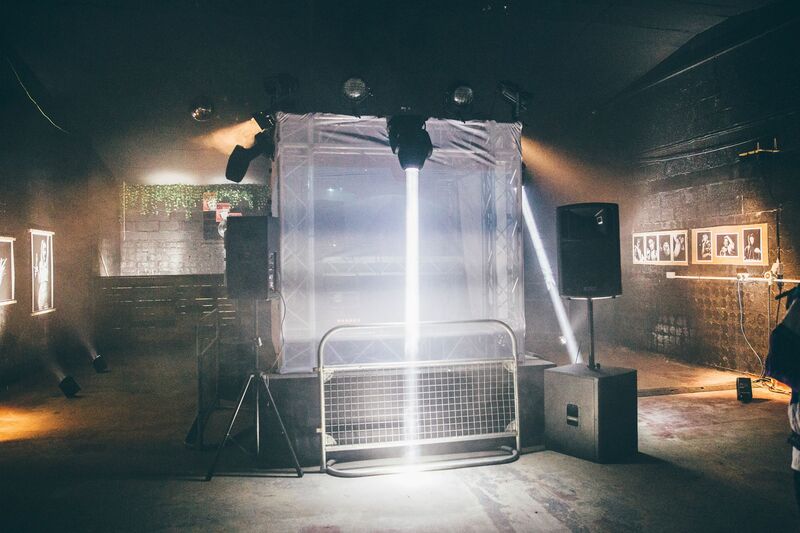 The warehouse venue featured a cube in the centre of the room which was built and rigged with lighting by Impact Sound and Light. 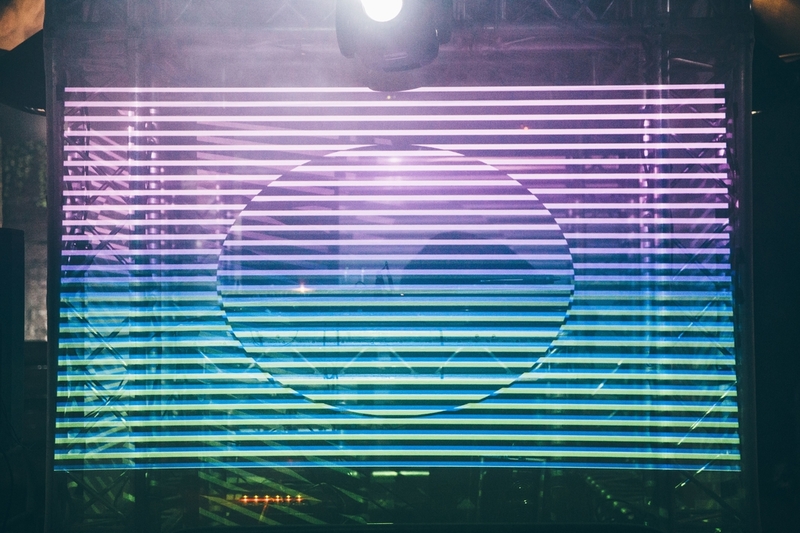 The cube was then illuminated throughout the night with projections created and controlled by George Earle, Dom Shortall and Maciek Kaliski. 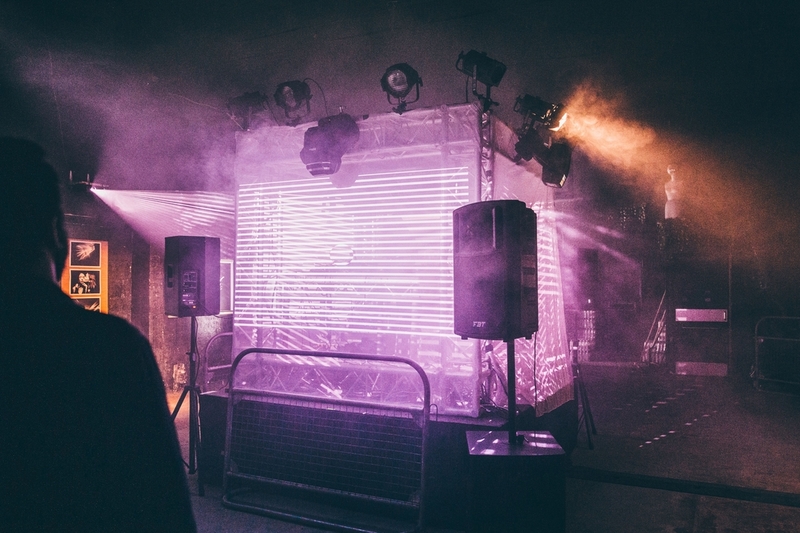 Thanks to the lighting effects throughout the exhibition and the use of fabric and projectors to create the DJ’s booth inside an interactive venue, the end result was unlike anything previously hosted in Falmouth. The artwork was placed around the exhibit allowing guests to walk around and engage with the photography in a relaxed nightlife atmosphere. 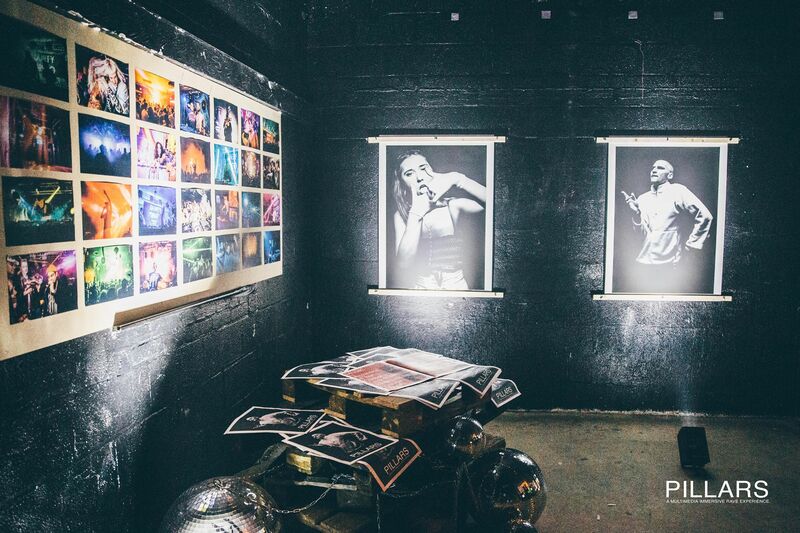 Joe added: “I wanted to take the exhibition and rave images I captured, and combine them with music, placing the viewer in the same setting,” upon being interviewed following the success of his exhibition. Focusing primarily on the core nightlife events in the area, with a particular focus on underground and rising talents known throughout the rave communities, the exhibition was organised as a form of output for Joe to show off work from some 40 events he has shot for across the past year and a half.